The Christian God is, allegedly, a spirit. As such, he has no physical body. He therefore should have no physical needs. And yet, this God, who ostensibly created the entire Universe, requires the blood of goats from one of the tinier planets in the vast cosmos for which he is responsible (see Leviticus, chapter 16). Why does he need this blood, you ask? Well, the Bible does specifically state that without the shedding of blood, there can be no forgiveness (see Hebrews 9:22). In other words, when part of his creation (us, the humans) commits a sin, he needs innocent blood to pay for it; otherwise, he is honor-bound to punish us (which apparently does not want to do[see footnote]). So, by means of a proxy, he is willing to accept the innocent blood of another part of his creation (goats, in the Old Testament) to reconcile the rupture the sin has produced. This is not justice. This is madness. A truly wise, all-knowing being would not and could not endorse such a fallacy. No, this has mankind written all over it, a conspicuous point when we observe that it is more than a mere coincidence that blood sacrifices were prevalent in many of the ancient religions. What can be concluded other than that this commonality is indicative of a shared origin? In other words, the driving force behind these ideas was the mind of man, not the mind of a God. If Christianity traces its origins to Judaism, which in turn shares parallels with similar ancient religions, then the thinking person must conclude that either all of these religions are legitimate (which is unlikely) or that none of them are (which is highly likely). After all, if the God of the Bible is the only “real” God and all the other ancient gods are man-made and therefore false, then would this real God bare such striking similarities to all these other frauds? And if this God does bare similarities to these other man-made gods, doesn’t this make it highly likely that he too is man-made? Are we being overly litigious to wonder how and why this perfect God, this all-powerful creator of the Universe, could be mollified by the slaughter and shed blood of a helpless, innocent animal? What possible relevance could the blood of a mere goat have on the personal inner tranquilities of a perfect spirit being? Doesn’t this seem somewhat petty? In another sense, doesn’t it seem somewhat barbaric? 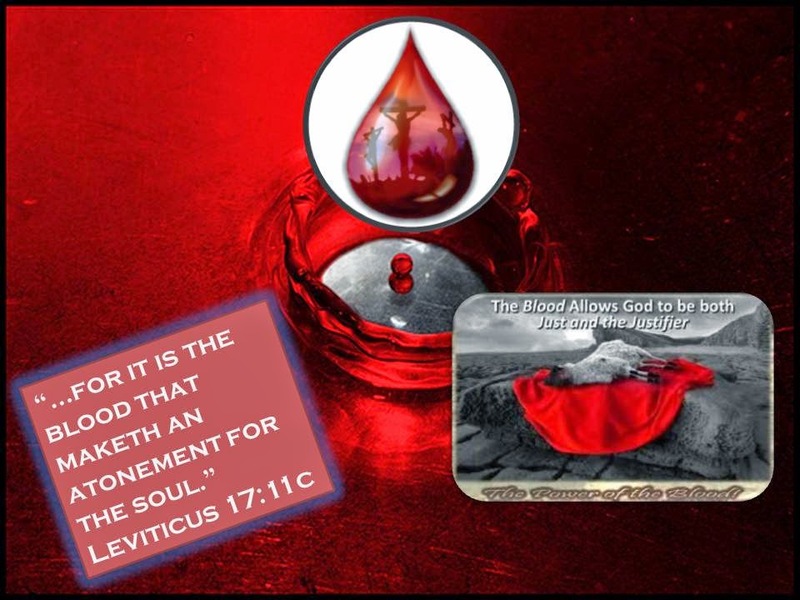 Why should the creator need the shed blood of its creations? Isn’t this the definition of “bloodthirsty?” Moreover, aren’t we justified in concluding that if the Christian God is real and he really does require blood to soothe his otherwise rampant anger over the sins of humans, then his answer for his own problem has its roots in violence and abuse? Yes, I said abuse. What else would you call it when you murder one being for the crimes of another? What else would you call it when the “official policy” is that without the shedding of the blood, there can be no forgiveness? Christianity exceeds Judaism, however, by asserting that at some point God grew weary of the tiresome blood of goats and required true human blood. Actually, if we are going to be technical, we must observe that God apparently had this planned out from the very beginning but nevertheless saw fit to use goats for a while before the appointed time arrived for the incarnation of his final solution: Jesus Christ (see 1 Peter 1:20). According to Christian doctrine, Jesus Christ was the incarnate son of God (and the third part of the Trinity, making the son and the father essentially the same person). As such, he was incapable of sinning. Thus, having lived a sinless life, he was the perfect stand-in for the sins of humanity, the ultimate “innocent goat,” if you will, and his death on the cross once and for all paid the blood price that God required. Therefore, what we have here is actually quite straightforward. Someone had to die. Why? Because sin apparently demands death. Never mind the fact that the Christian God knew ahead of time that his creations would sin. Never mind the fact that, knowing this, he went ahead and created them anyway. Never mind the fact that while this God had an entire planet upon which to place Adam and Eve, he elected to put them within walking distance of the one tree from which he specifically did not want them to eat. Never mind the fact that God also allowed the serpent to occupy this general geographic area. Never mind that all of this practically shouts that God willingly and purposefully placed his creation in the pathway of sin. And never mind the fact that his purposeful willingness makes him complicit in the resulting sin. No, someone had to die for the sins of humanity. At first, God was content with goats. Eventually, though, he needed true human blood. And whose blood would be better than his own son’s? This the Christian calls love. “God was willing to sacrifice his own son!” they will say. “That is how much he loves you!” I would argue that a truly loving response to an offense is to write it off completely, not transfer it to someone else’s account. Furthermore, how many of my readers would be willing to have their daughter sent to jail for the rest of her life in exchange for the release of the convict who raped her? Where is the love there? Is that justice? In any case, perhaps the Christian God resolved to pay the blood price with his own blood because he knew he was complicit in our sin. But that just opens up a whole new avenue of ridiculous questions. Were we to purse that line of thought, the illogic would mount exponentially and we’d be deep in the land of the absurd. [footnote]: If God is honor-bound to punish sin, then isn’t he following a code that is greater than himself? If so, whose code is it? Does God have a God? Christians would say, "No, it's not that he is honor-bound, is that he must be true to himself." This is the semantical splitting of hairs because it all amounts to the same thing: God is compelled to act in such and such a way. Honor-bound. Same thing. ExChristian.Net: The Christian God's Obsession with...Blood?